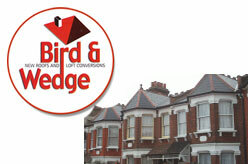 Bird and Wedge is a division of Ernest Wedge Roofing Ltd, one of London’s oldest (since 1923) and one of the best roofing contractors for home improvements, loft conversion ideas and new roofing services. Offers FREE QUOTATIONS. London N17 8HJ, England, UK.